Promote your company with your own LoyalTea Tea Bags! Just choose your packaging and flavor. Delivered in just three weeks, fresh from our estates in Sri Lanka. Available from 25.000 bags. Straight from the best tea gardens, located high in the hills of Sri Lanka, we present handpicked tea leaves of premium quality. 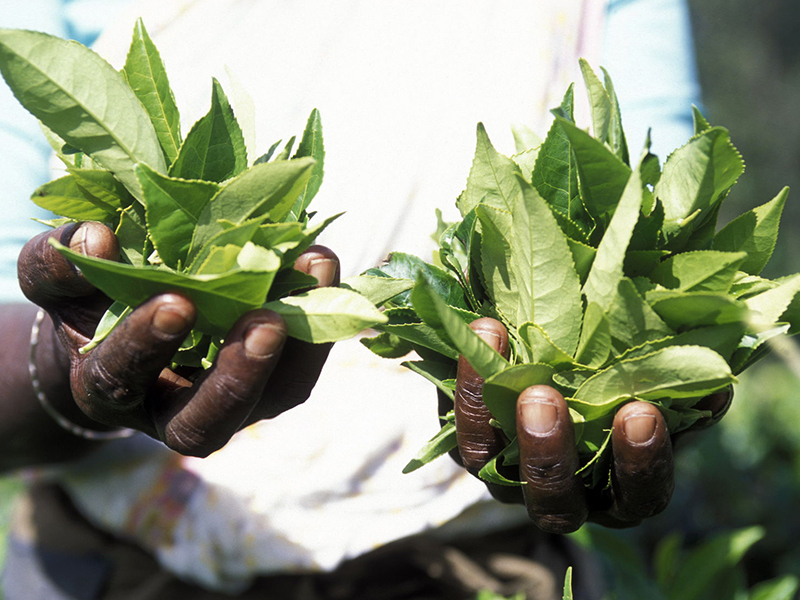 Upon order, we fly fresh tea leaves directly from Colombo to provide you with the best tea possible. We even provide you with the exact location where the tea leaves where picked. 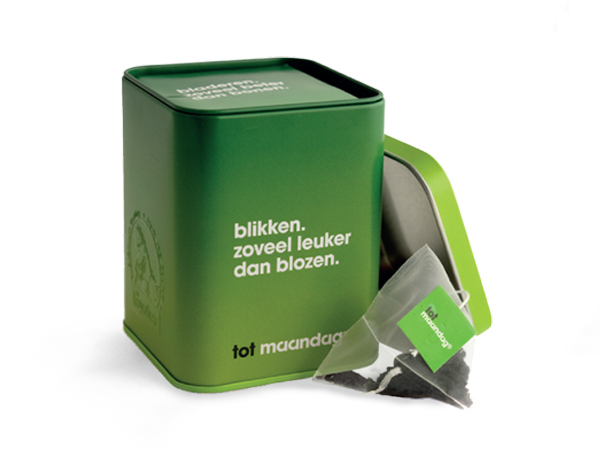 From 25.000 pieces on you can completely customize your own package, choose your own tea flavor and such. Find below an overview of all the certificates we have available. Our warehouse is located in The Netherlands. Handling/transport is € 35 for Netherlands and Belgium. For orders outside Netherlands/Belgium please check our packing details to calculate your costs at your local forwarder. Find below the packaging details for the different packaging options for the LoyalTea Tea Bags. 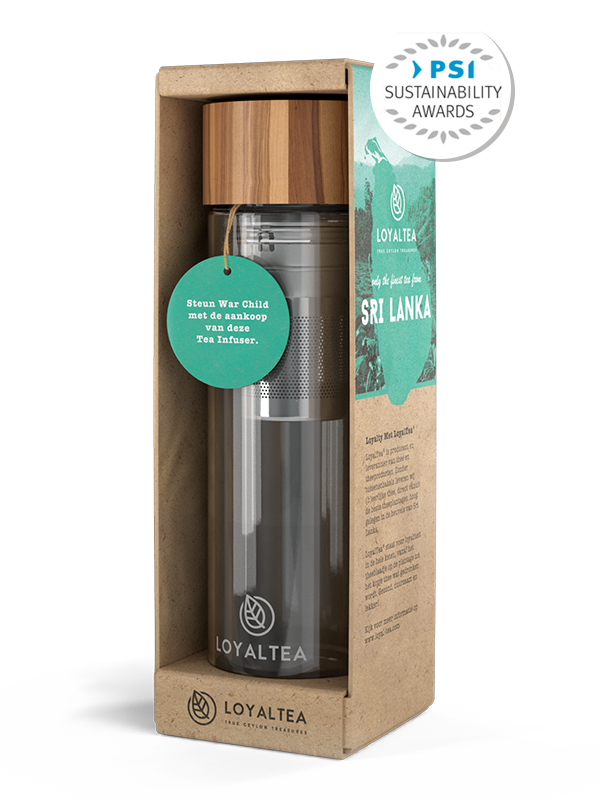 The LoyalTea Tea Bags are available from 25.000 pieces. Delivery time is around three weeks after confirming artwork (ex works Amsterdam, The Netherlands or ex works Colombo, Sri Lanka). 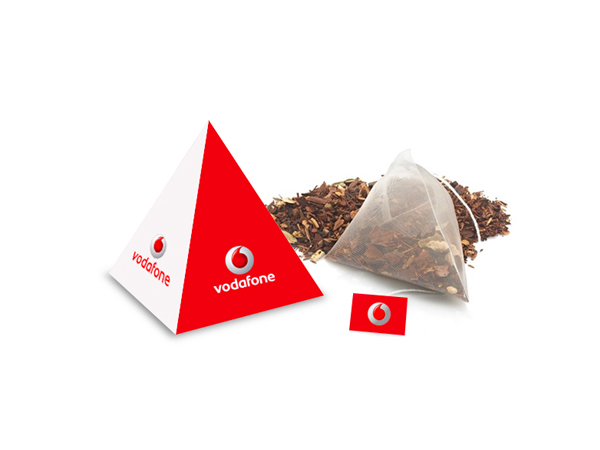 Prices including a single pyramid teabag, packed in a LoyalTea Pouch, LoyalTea Pyramid Box or LoyalTea Cube. You can choose your own flavour. All tea is fresh and is specially flown in from Sri Lanka from our own estates. If you are interested in more then 25.000 pieces of our Tea Bags, please send us your request by telling us more about your project below. We will use this email-address to contact you. Please tell us some more detailed information about your request, so we can help you better. Please note that we will always keep your information save. We will contact you within 2 business days about your request.